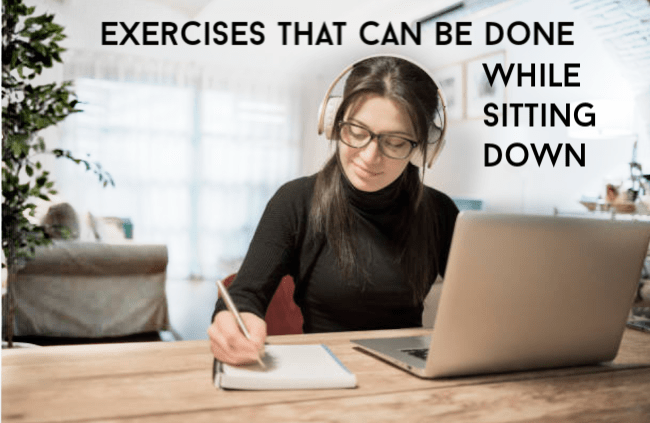 These exercises you can do while sitting down are perfect for anyone working from a desk or spending most of the day in a chair. While it is important to exercise, sometimes it’s hard to find the time to fit it in. Before my husband started working from home, he spent many hours a day at his desk. Unfortunately, his body didn’t appreciate this (backaches, etc… which come with being sedentary). When I was in his office one day, just visiting, I started talking to his co-workers. It turned out that everyone had the same complaints. 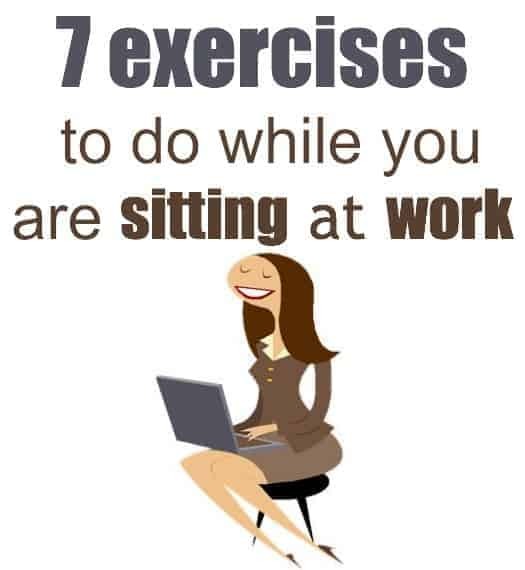 Here are seven exercises you can do while sitting down in the office that doesn’t even require that you get out of your seat. 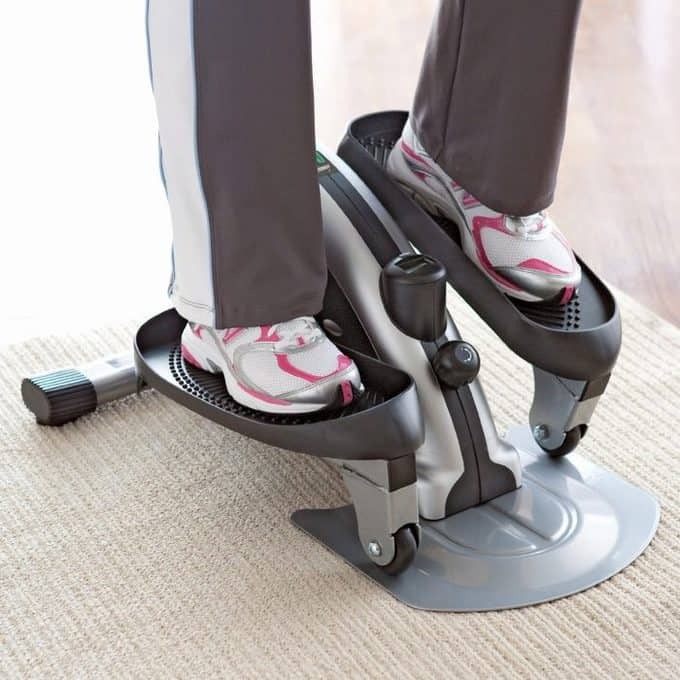 Give your calf muscles a work out by raising your legs up on the very tips of your toes while remaining seated. Your calf muscles should start to burn after a few seconds. ⇒ Hold for ten seconds and then repeat eight times. The beauty of this exercise is that you aren’t getting up and no one knows that you are secretly fitting in a workout. This exercise can strengthen the flexibility of your ankles and make you less likely to suffer from sprains. ⇒ Rotate your ankles in both directions for five seconds. Do five sets of eight reps in each direction. Just because you’re seated at your desk doesn’t mean your arms can’t do just about anything they want. Many arm exercises can be performed while seated at your desk. Stretch the muscles in your right arm by reaching as far to the left as you can with your right arm while supporting it in the crook of your left elbow and then hold it there. ⇒ Feel the stretch for five seconds. Do eight reps before switching over to your left arm. Strengthen your core by rotating at the waist while remaining seated. Rotate as far to the left as you can and hold for five seconds, then repeat on the right. Grab the backrest of your chair with your hands for extra support. ⇒ Complete five sets of five seconds on each side. Move to the edge of your seat and lean back on the backrest. Then lift your straightened legs a few inches above the ground and raise your back a few inches off the backrest. Feel the burn in your abdominal muscles and hold for ten seconds. ⇒ Eight reps of ten seconds each can strengthen your core considerably when done regularly. Starting with both feet flat on the floor, do leg lifts, starting first with the right leg and then the left. Lift each leg until it touches the underside of your desk. ⇒ Do ten sets of eight reps to strengthen your thigh muscles and your core. Being busy is never an excuse to not stay fit. While you should always try to make time for proper cardio and weight training, never forget that there are many other ways you can incorporate exercise into your daily routine by doing this at work or even workout at home. 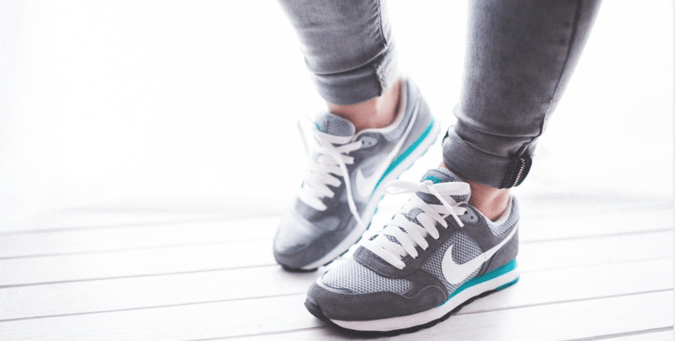 Doing a couple of simple exercises while sitting down in the office each day can, when done regularly, help to improve your flexibility, muscle tone and strength. YoNananas is one of my favorite things- it will change the way you snack. If you love ice cream or sorbet, this is for you. 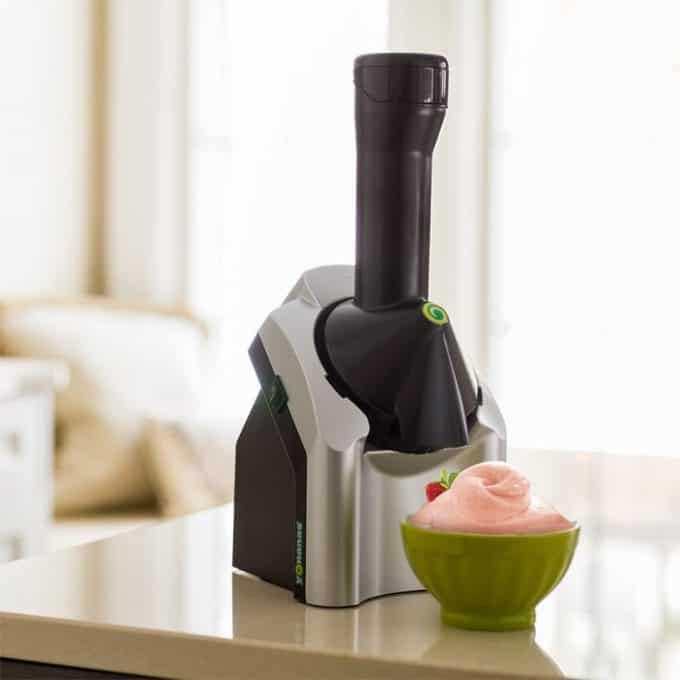 You put fruit in (you freeze the fruit first) and it comes out like ice cream! My favorite combo is mango, pineapple, and one banana. I might do a youtube video on it. 3). 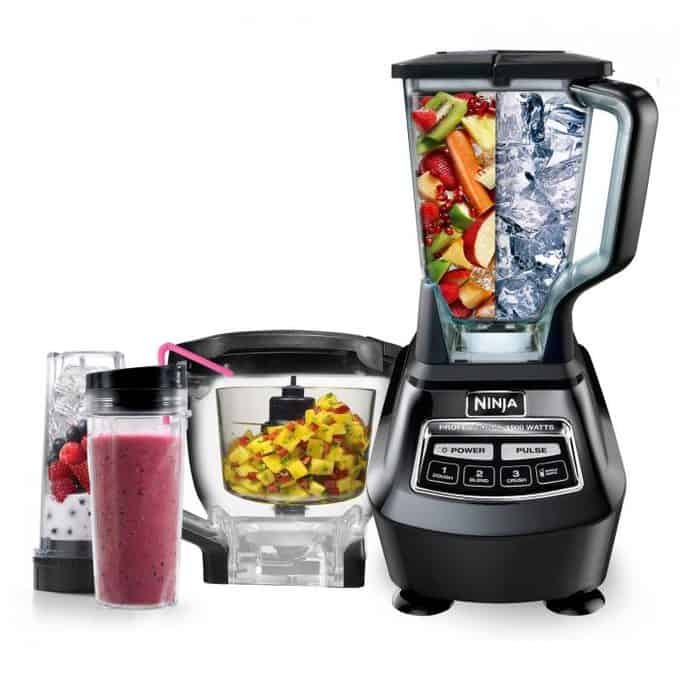 The Ninja – you can turn anything into a smoothie or juice. It’s a huge hit in our family. 5). FITBIT- This one is wireless, so it is easier for me to keep up with. 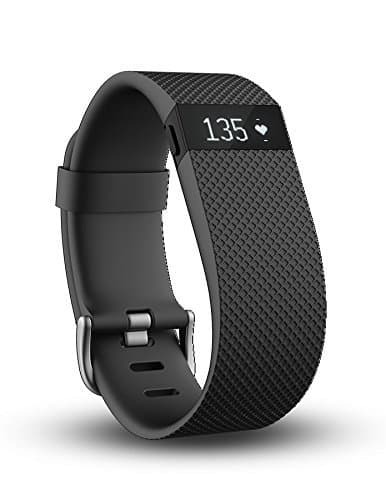 😉 Track steps, distance, floors climbed and sleep quality and more, and stay connected with Caller ID and time of day (displayed on the FITBIT). Learn how to lose fat, gain muscle and feel your best here. These are great suggestions. I have been trying them already. One more way but works outside the office also adding to a more active day…., is park as far as possible from the entrance incorporating extra walking into your day. On weekends when I shop, I do the same thing. You’ll find more parking spaces that way! We’ve all heard take the stairs instead of elevators, I take that time to race up the stairs. I also try to bike to my destinations as much as possible. It provides cardio AND saves fuel. Great tip 🙂 I LOVE biking!! I workout my glutes on a regular basis, and tried the bun clenches…they killed me!! My booty was sore for days!! Very effective. Thanks for this post, I’ve shared with my mom and boss. Perfect- I hope they help! I really like this article! 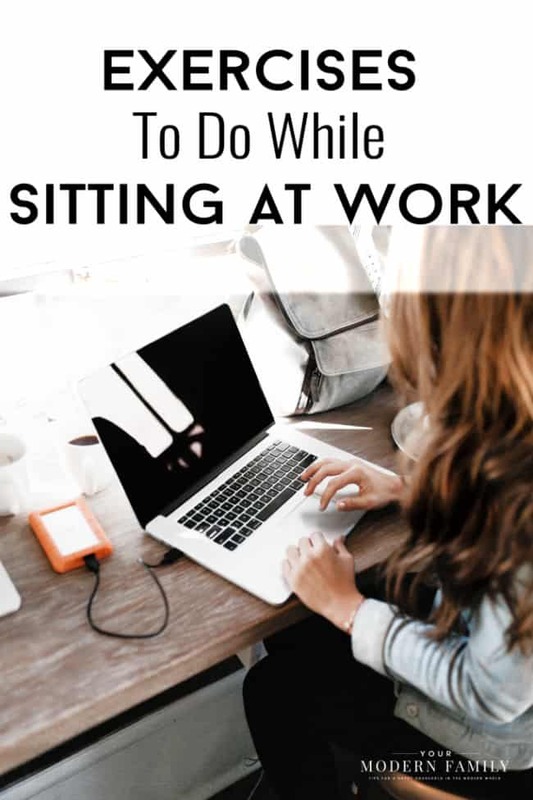 I sit for long periods of time at work and these exercises are very easy to do! Thanks! Arm crunches are most easy when I am sitting in front of my iMac. I will try out rest of the exercises too. 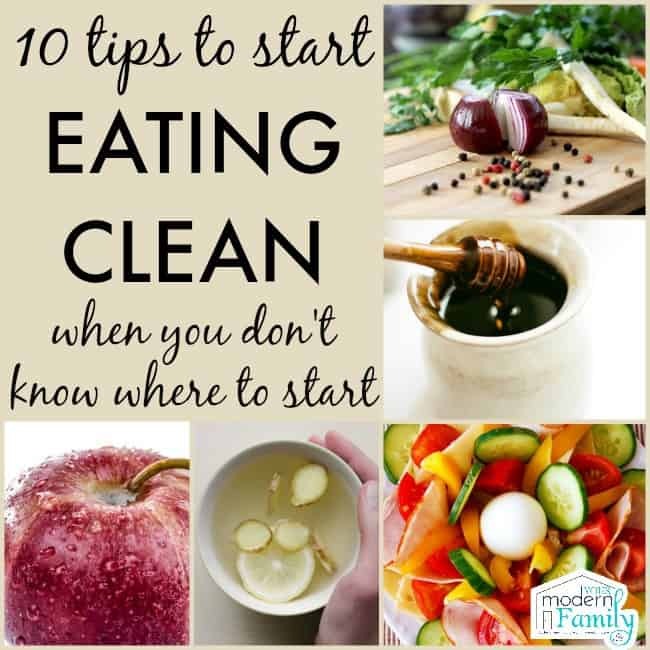 Thanks for sharing the tips. 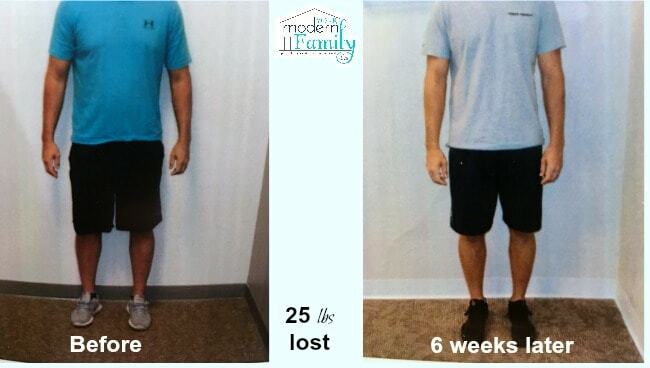 I just found this and I think I can stay consistent this will work especially when I don’t wanna walk. Arm crunches and leg squats are most easy when I am sitting/standing in front of my pc. I will try out rest of the exercises too. Thanks for sharing these amazing workout tips. Exercising really helps to build a good posture. 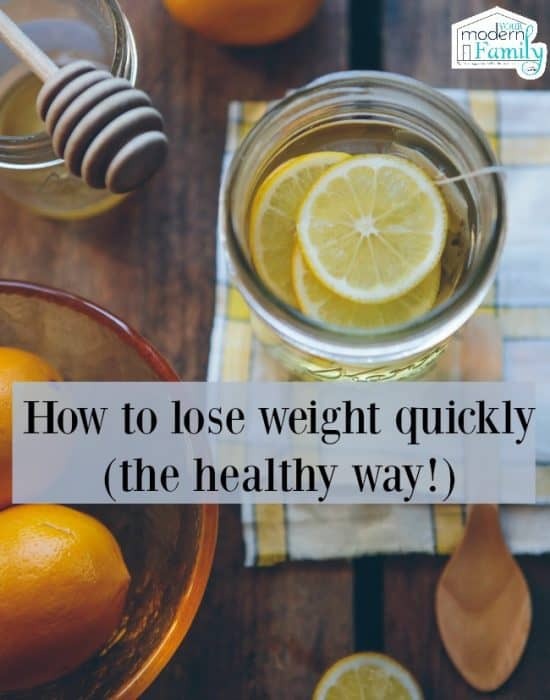 Thanks for this informative blog it helps me what exercise ill do for working out.